On a day that begins like any other, Hal receives a mysterious letter bequeathing her a substantial inheritance. She realizes very quickly that the letter was sent to the wrong person -- but also that the cold-reading skills she's honed as a tarot card reader might help her claim the money. I've been wanting to read this one for quite awhile, and I managed to get it in before the end of the year. This is my first Ruth Ware book, but it won't be my last. I've already ordered The Woman in Cabin 10. I really enjoyed the book, and I liked all the characters. They were all really well portrayed. Ms. Ware did a good job of maintaining tension throughout the plot, and there is a huge twist at the end. I thought I had it figured out, but didn't expect that humdinger near the end. It changed the whole tone of the book, from general uneasiness to all-out fright. I also enjoyed the insight into tarot card reading. I have always been fascinated with the tarot card mystique. The book was a creepy, suspenseful book with an extremely creepy house at the centre of it. 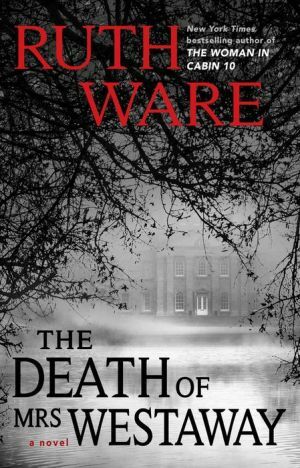 All brilliantly portrayed by Ms. Ware, and, best of all, not over-the-top like so many thrillers are these days. Highly recommended for those who like their thrills a bit understated.